click the Houseworks Holiday Plan link in the Categories box on the right side of the page. Holiday parties, cooking and a growing sense of excitement mark this week before Christmas. Around the house, only minimum maintenance is needed this week. The week’s holiday prep checklist includes the last few chores to get ready for the big day. Are you ready? A clean and organized home for the holiday season! a rock-bottom chore checklist of must-do household chores. Does your household have one? Create a minimum maintenance checklist and post it publicly. Encourage family members to pitch in and share the work. Decorate and wrap baked goods. Ice the sugar cookies, assemble the goodie trays and wrap for giving. Record a special holiday message for the answering machine. 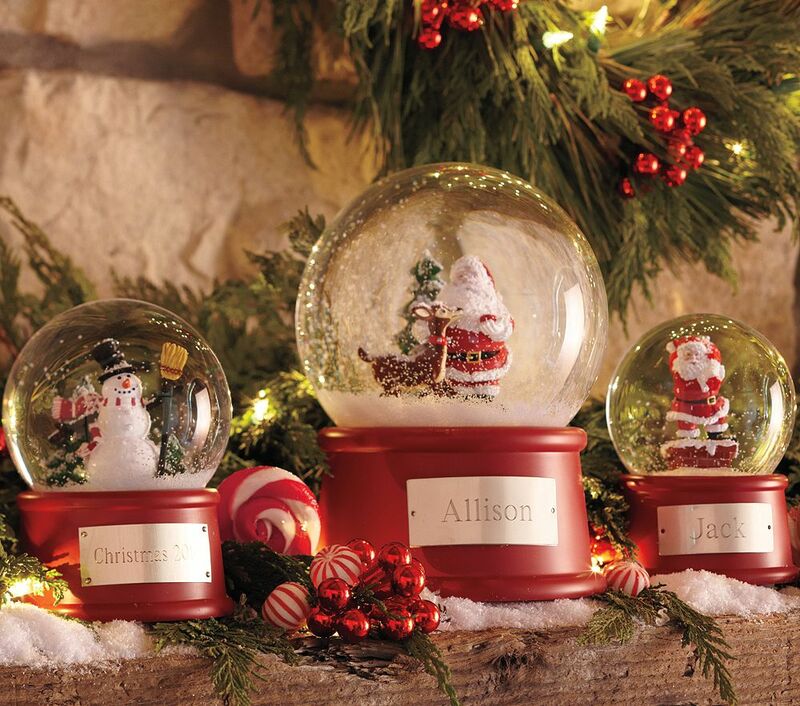 add meaning to the gift with a simple journal page recording who-what-where of each ornament. Make a Christmas morning box. Think ahead: what will you need when opening gifts? Include a notepad, pen, scissors, box cutter and plastic garbage bags. Put together any “assembly required” toys. Check and organize stocking stuffers. 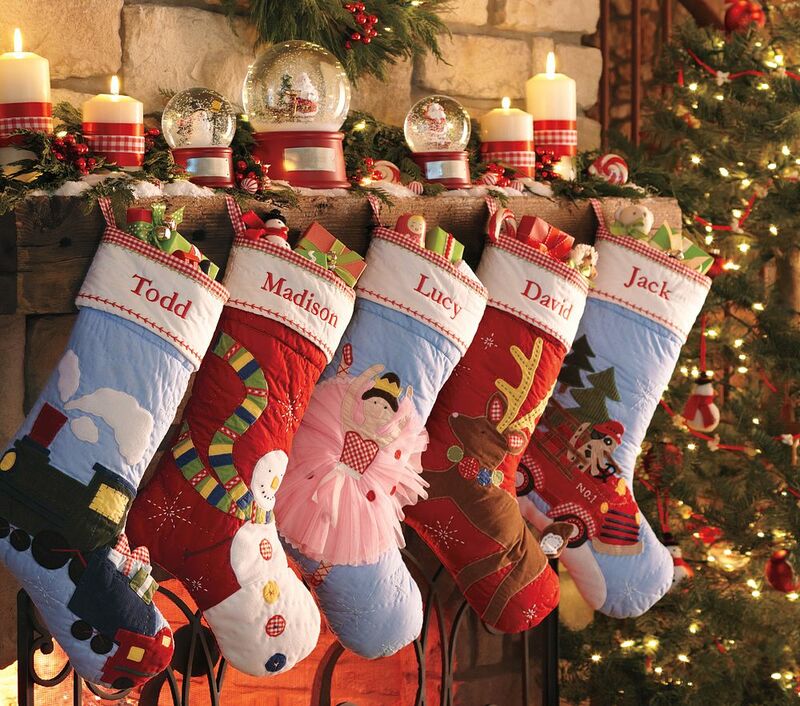 Place each family member’s gifts in a separate grocery sack so Santa can get a good night’s rest on the 24th. Hang sacks on clotheshangers in the back of a closet to keep stuffers from prying eyes. Write letters to Santa. (And keep them. Misspellings and all, you’ll treasure them in later years). Two weeks before Christmas? It’s time for a final finish cleaning at the Houseworks holiday plan. This week’s goal is to bring the whole house into a ready state for the remainder of the season. A “final clean” week will put a surface shine on our home! 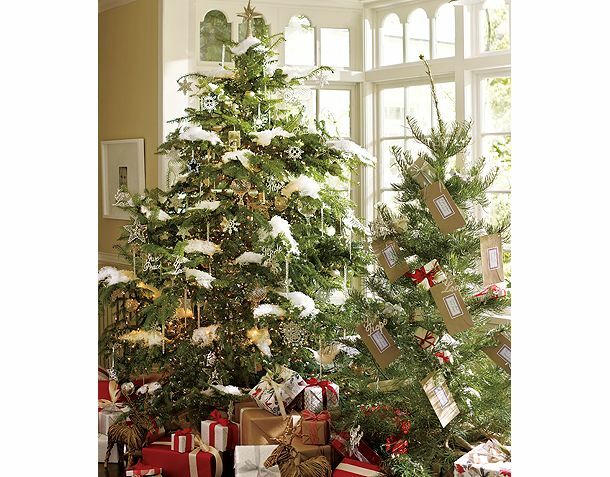 bring home the ultimate seasonal symbol: the Christmas tree. and the deep-cleaning is done–but this week, it’s time to polish up the house with a last whole-house clean. Play cleaning service this week, and give every room a top-clean session of dusting, vacuuming and final touch-up. You’ll bring the entire house to a holiday-ready state. Time to celebrate! *Wrap party! Hold an informal “wrap party” brunch or evening for friends. Work on wrapping packages together. 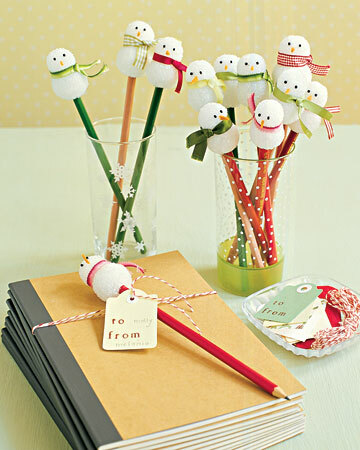 *At the end of the party, swap leftover supplies for a fresh look next year. *Use freezer meals on busy nights. *Plan Christmas menus. Make a simple menu plan for Christmas week. *Delegation is easier if you have an idea of what’s for breakfast … or lunch, or dinner. *Update address book. As holiday letters and Christmas cards arrive, update the address book with any changes. *Mail Christmas cards or holiday letters. 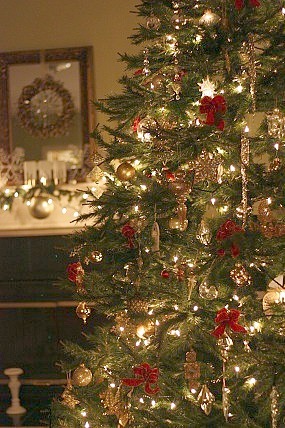 *Buy Christmas trees and/or fresh greens. Here’s some inspiration to get you started! 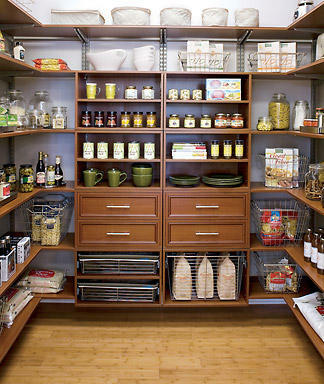 Organize storage areas. Ransacking a crowded attic is nobody’s idea of a good holiday time. 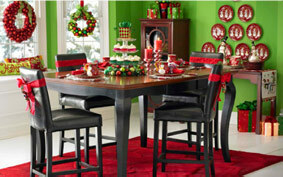 This week, organize household storage areas as you bring forth holiday decorations. Whether it’s attic, garage, closet or shed, take time to tidy up household storage. Inexpensive storage organizers can help keep clutter from creeping into corners–and a neat storage area will make it easier to return decorations to their year-round home at season’s end. Begin family Advent observances. Advent begins on Sunday; consider your family’s traditions carefully. New! Will a magic elfvisit your home this year? Order Christmas ham, roast or poultry. Finish gift shopping. Where you can, wrap as you go to prevent a long night with the tape and ribbons on Christmas Eve. Mail domestic gifts. Just say “no!” to lines at the post office; use USPS.Com to purchase postage, print shipping labels and arrange for carrier pick-up. Check cameras and camcorders Be ready to capture the moment. Will you need to buy film, batteries, cassettes or storage media? Add any needed items to the shopping list. Make an under-tree “emergency box”. Use a gift-wrapped box with removable lid. Placed under the tree, it holds extra bulbs, fuses, ornament hooks and batteries. 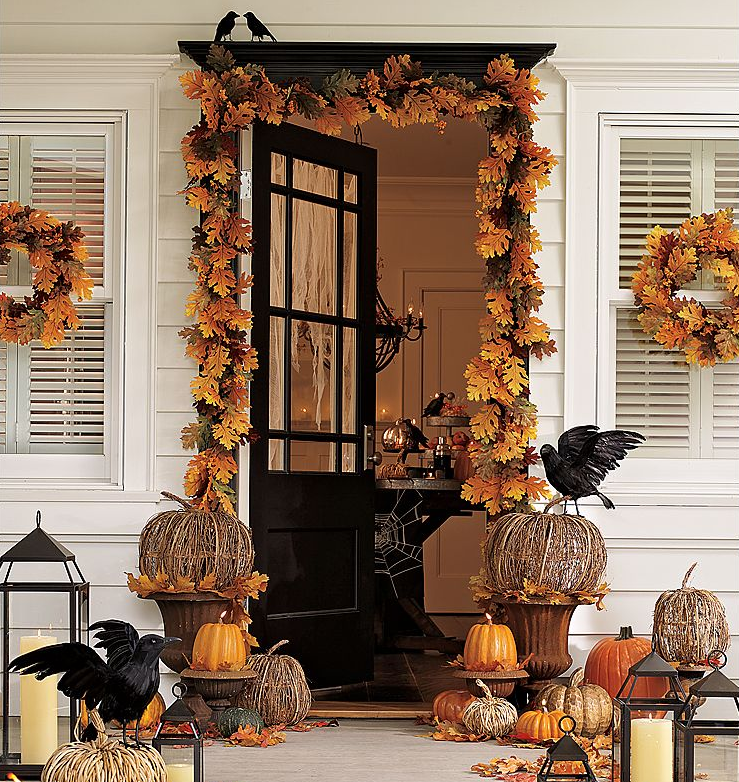 So, are you ready to get started on your entryway, front porch or front door? 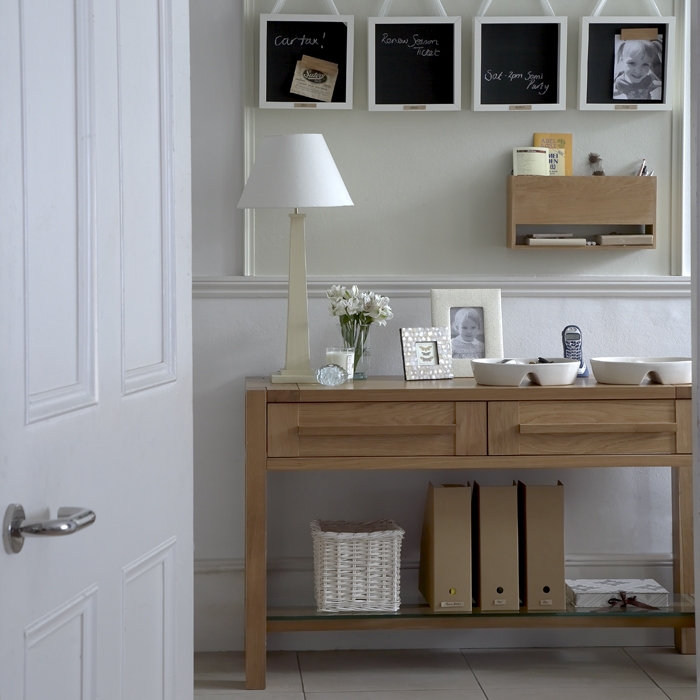 Prepare a welcoming entry space. 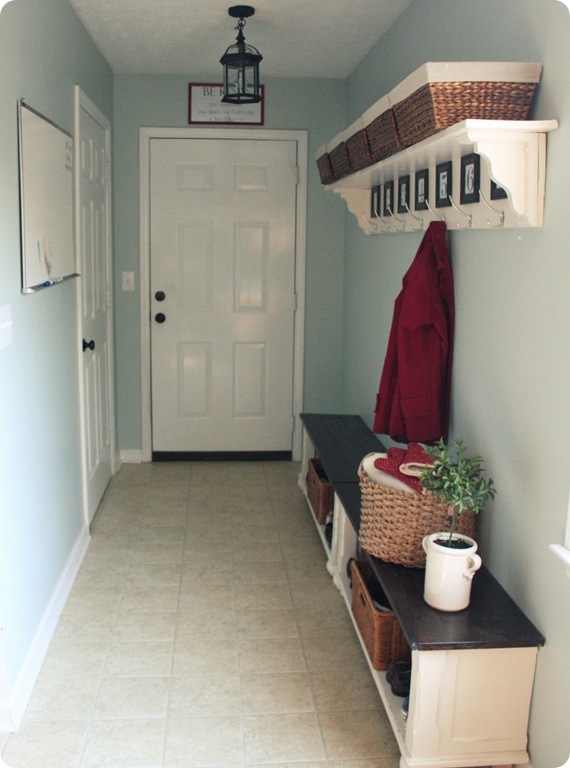 Front porch or foyer, apartment door or entryway, this week’s focus is on the entry area of the home.Remove clutter, clean and organize the portal to your household this week. Check the front door, cleaning and polishing knob, knocker and any windows. Check the state of the welcome mat; is it time for cleaning or replacement? Check outdoor lights and replace any burned-out bulbs.Declutter doorway storage areas so outdoor shoes, umbrellas or keys find an efficient, attractive home. 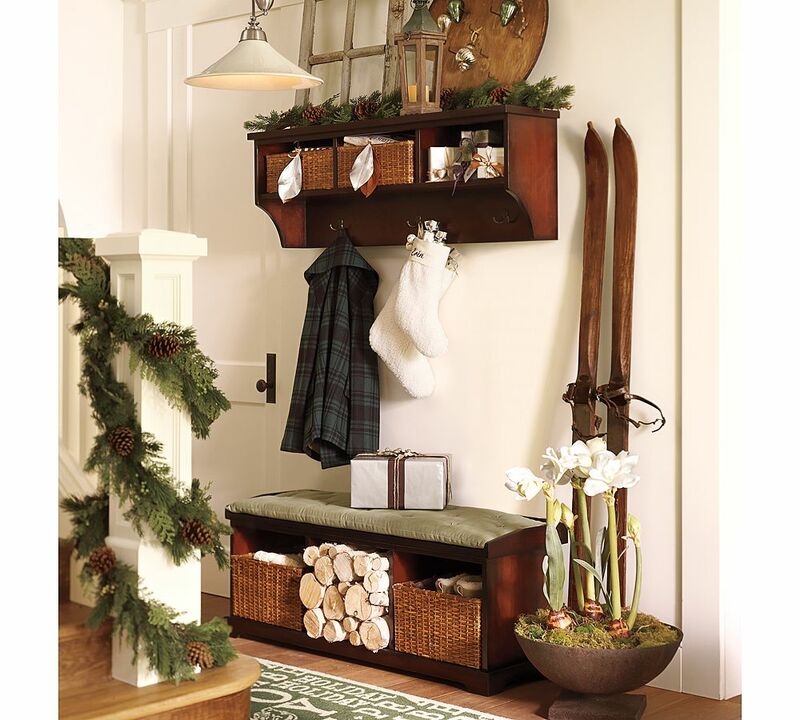 Clean out coat closets and add extra hangers for holiday guests’ use. 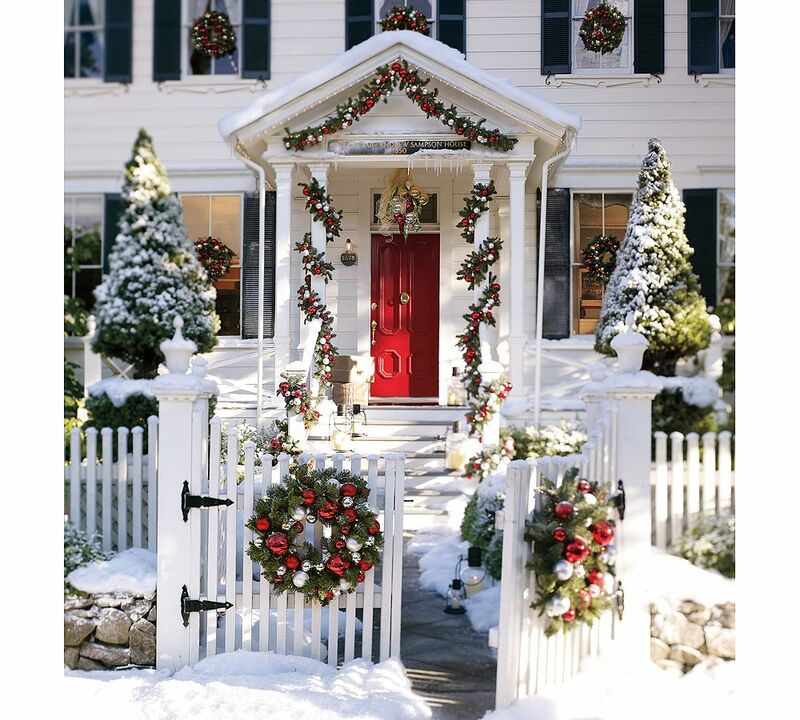 Be ready to open the door to a wonderful holiday season! Set the table ahead. 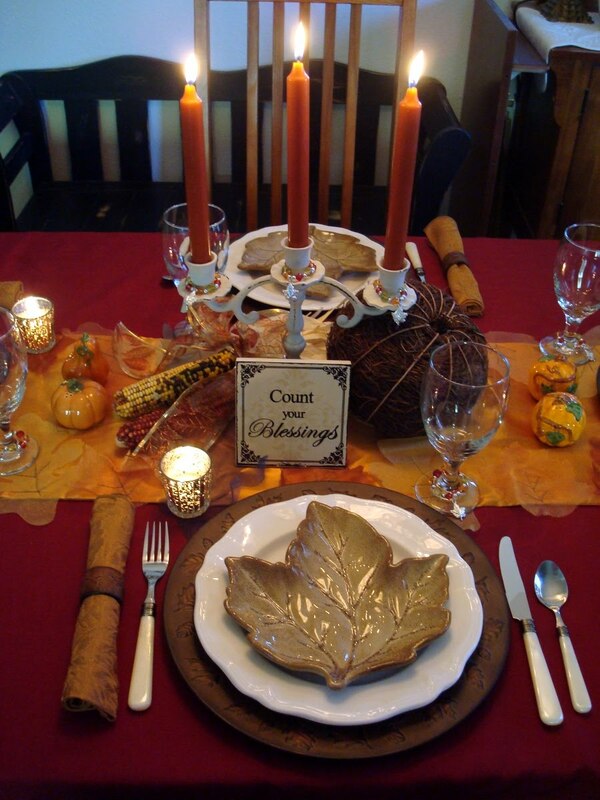 Set the Thanksgiving table a day or two before. 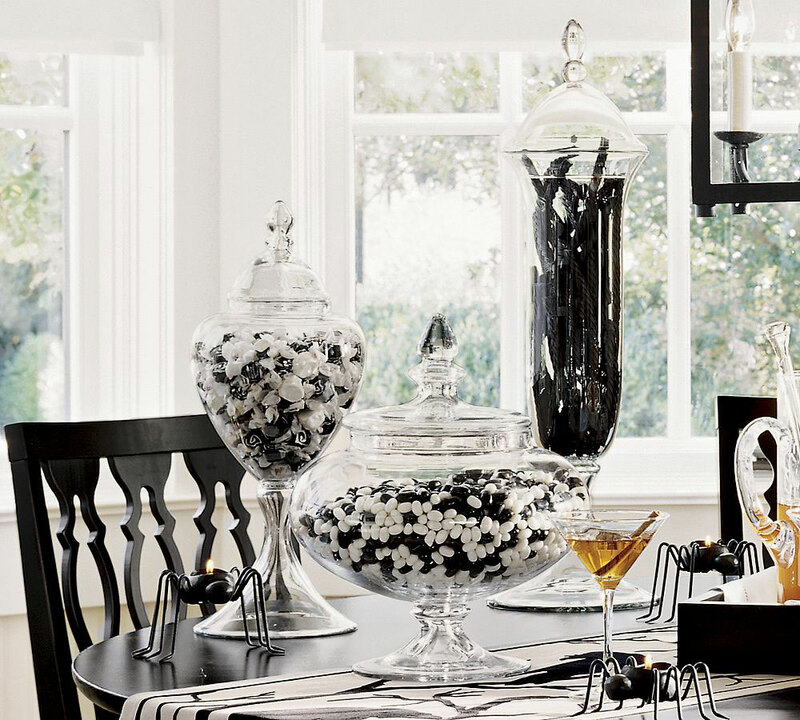 You’ll have time to spot (and fix) tarnished silver or stains on the tablecloth. Use sticky notes to mark serving dishes so it’s easy for guests to help. Celebrate American Thanksgiving. (Canadian and UK friends? Enjoy the day off! Shop Black Friday sales! Use your game plan to get the best deals quickly. Inspect and inventory decorations. 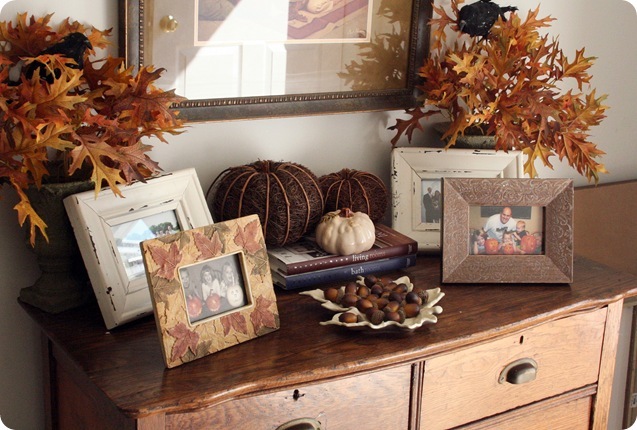 As seasonal decorations come out of storage, make a quick review of what you have. Test light strands, and add any needed parts or replacements to the shopping list. Send party invitations. Having a holiday party? Send invitations early. Social calendars fill up quickly in December. Wrap gifts as they are purchased. Every little bit helps, so wrap ahead where possible. Status check. On the first of December, review where you are with holiday prep. Crafts projects and homemade gifts should be finished soon; check for any missing catalog orders. Arrange for baby-sitters. Be quick to call for help as holiday invitations arrive; baby-sitters are busy in December, too. Package send-away gifts for mailing. Be ready to mail send-away gifts by next week. we’re going to spend this week cleaning & organizing our dining spaces! Plan for Thanksgiving Day. 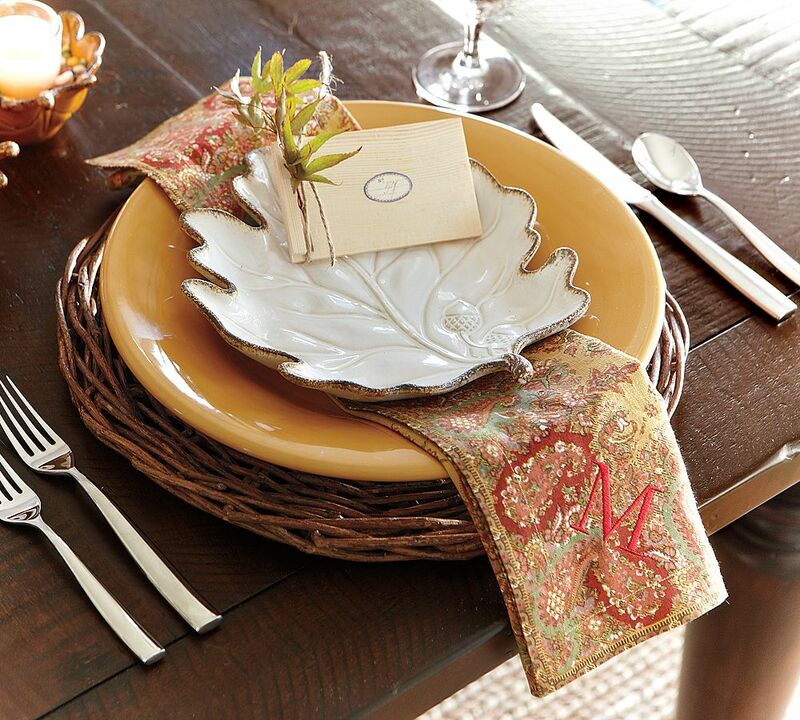 Plan table settings, seating and a centerpiece for Thanksgiving Day. Set up a Black Friday Sales game plan. Online bargain sites and e-mail alerts allow Web-savvy shoppers to spot the best deals days before Black Friday. Make entries in your holiday sales plannerand plan shopping strategy as information comes to light. Double up on freezer-friendly dishes. Cooking for the feast, plan to double or triple amounts for any freezer-friendly dishes, and tuck the extras into the freezer for later use. Candidates include pies, unbaked stuffing and–surprise!–garlic mashed potatoes. You’ll enjoy lightening the load for Christmas dinner. Plan holiday parties. If you’ll entertain next month, make plans now. I’m fortunate to have slide-out shelves – love them! 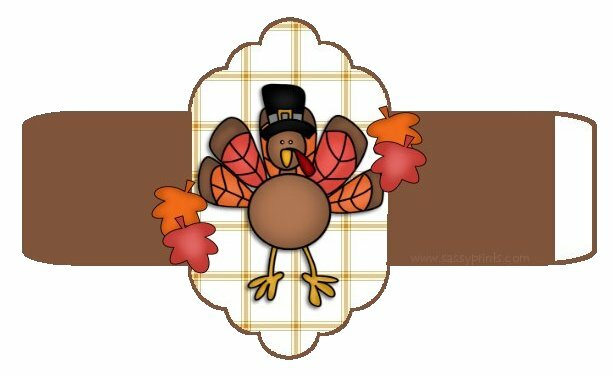 With Thanksgiving just around the corner, it’s time to get our kitchen’s in order! 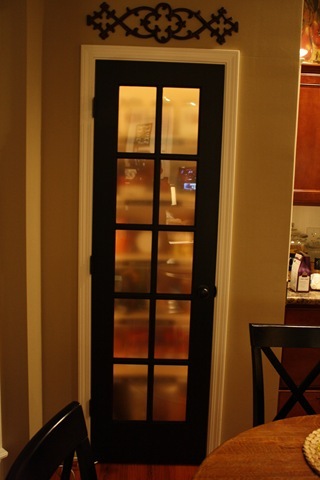 This week I will be working on decluttering my refrigerator, freezer(s) and pantry. Lord knows they all need a good cleaning! Ugh! One of my least favorite places to clean! I need to make sure that my food storage areas are ready to be called into service! 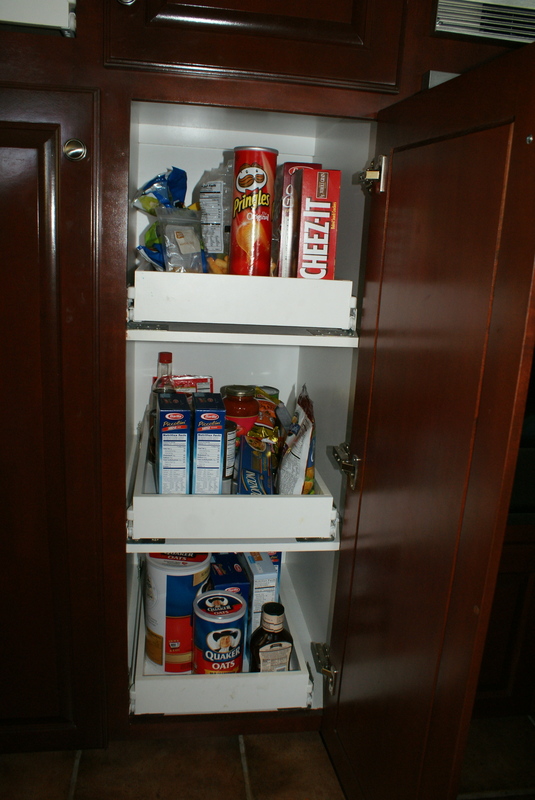 Declutter, clean and organize food storage areas this week.From refrigerator to freezer, cupboards to pantry, this is the week to cut clutter, clean and organize food storage areas.FIrst priority: a refrigerator clean-out. Make space for holiday cooking by tossing expired bottles and jar, and bring holiday sparkle to the Great White Whale with a top-to-toe cleaning session.In the freezer? We’ll cull the clutter, organize the contents, and make room for holiday baking and the fruits of a freezer cooking session.Finally, dry storage areas deserve a shake-down, too. 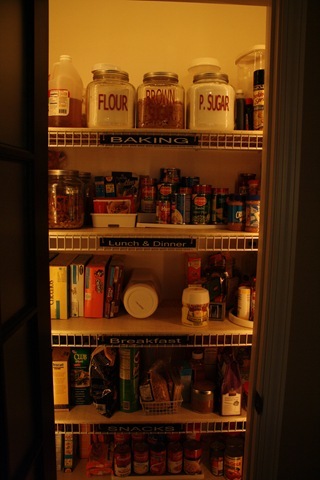 Toss stale or expired food items, clean shelves and organize the survivors for efficient holiday cooking.Ready? Set … bake! Clean out the refrigerator. 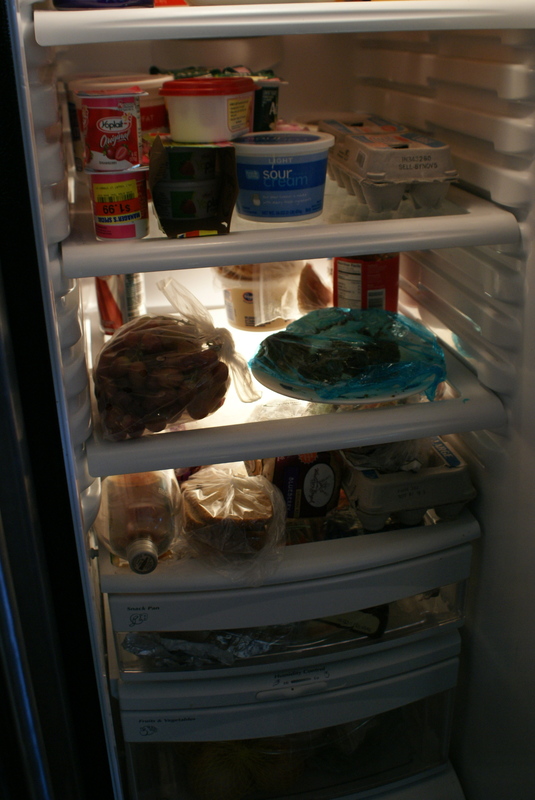 Seasonal cooking requires storage space, so clean out the refrigerator now. .
Clean out the freezer. Make-ahead baked goods and holiday freezer meals need room, too. 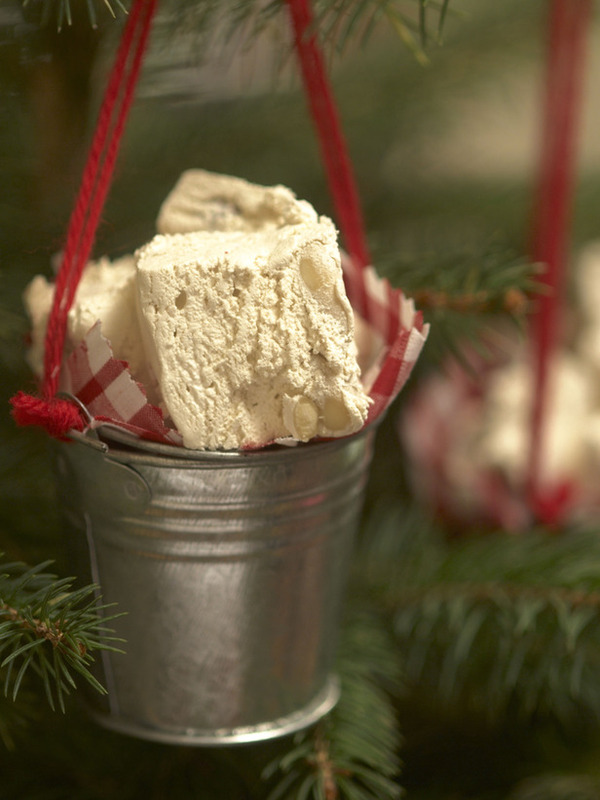 Clean out the freezer to create a home for holiday goodies to come. Set up a freezer inventory. Keep track of your frozen assets with a freezer inventory form. Stock up on seasonal staples. It’s loss leader time at the supermarket, as merchants compete for your holiday food dollar. Take advantage of low prices and stock the pantry. Plan potluck meals. If you’re part of family, church or social groups that hold Advent potluck dinners, be ready. Our potluck meal planner will help organize and delegate community dinners. Add freezer meals to the freezer. Whether you do an at-home freezer cooking session, try the new meal assembly franchises or simply cook some extra pots of chili or spaghetti sauce, stow away a few pre-cooked freezer meals. In December, you’ll appreciate having dinner ready to go on busy nights. Moving shelf by shelf, cupboard by cupboard, take on kitchen clutter this week. 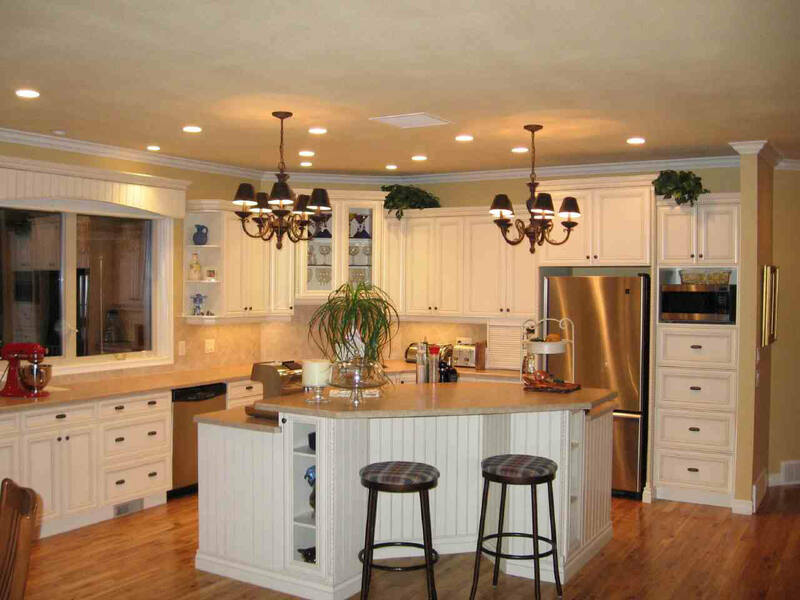 Using the STOP clutter method, bring food preparation workspaces to a lean, mean, efficient state. Once clutter is conquered, a kitchen clean-out is in order. 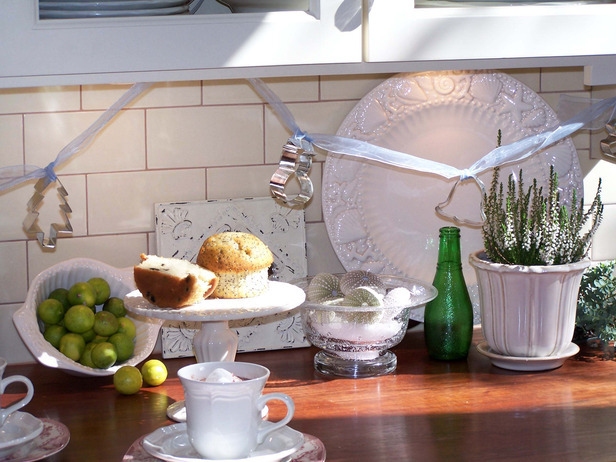 Rout out the grime and corral the crumbs for a sparkling holiday kitchen. 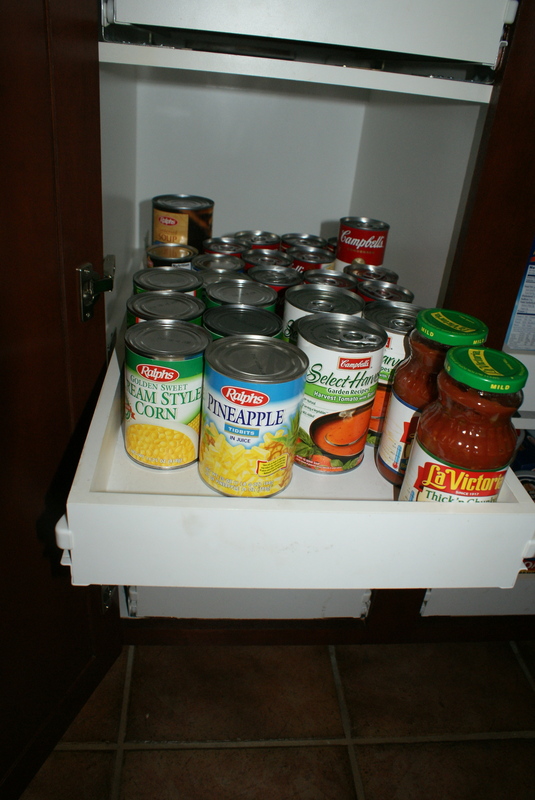 Don’t worry about pantry, freezer or refrigerator just yet … we’ll turn to food storage areas next week. Organize holiday recipes. 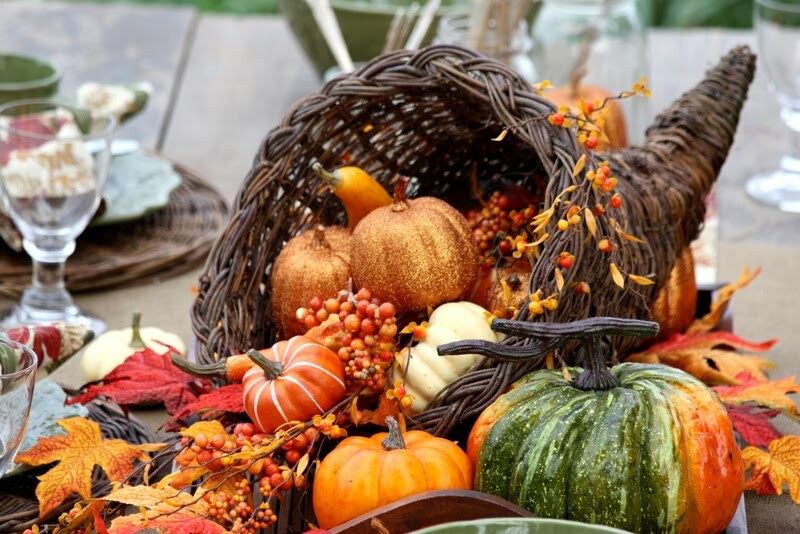 It’s November … do you know where your seasonal recipes are? Dig out the recipes you use during the holiday season, and add them to the holiday recipes planner. Thanksgiving Day is too busy to waste time hunting for the Green Bean Casserole recipe. Plan Thanksgiving menus. If you’re hosting the Thanksgiving feast, it’s time to make a menu plan. 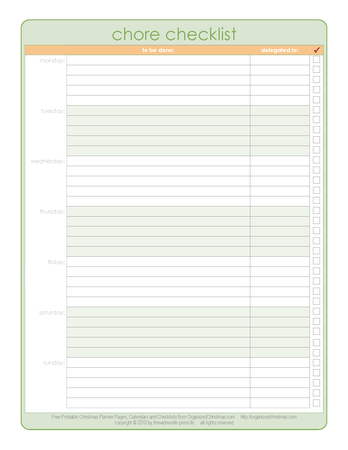 Use a menu planner form, and delegate, delegate, delegate! Plan holiday baking. With recipes out, make a list of baked goodies you’ll make for the holidays. Our holiday baking plannerform is a good place to start. 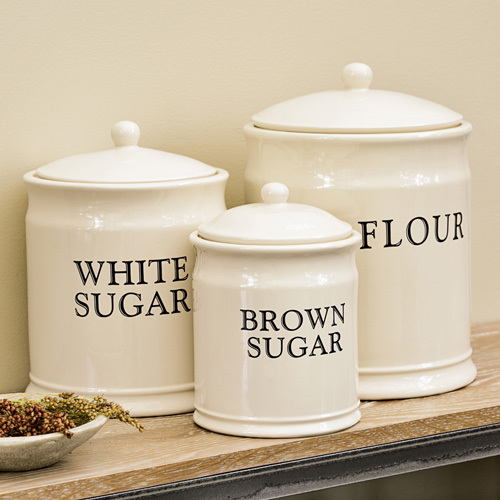 Buy containers for freezer meals, baked goods or kitchen gifts. Holiday-themed disposable containers are available now. Double up on freezer food storage bags, too; they’ll do triple duty this month. Bake any fruitcakes or Christmas cakes which require mellowing. Now’s the time to bake the Christmas cakes! You’ll have eight weeks to mellow them before the season. Do a tabletop check. Inventory serving pieces, stemware, china and flatware. Check store flyers for sales. 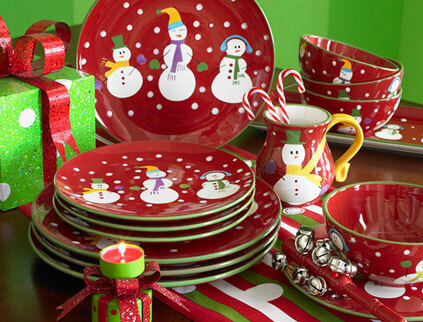 Will you be ready to set a pretty holiday table? 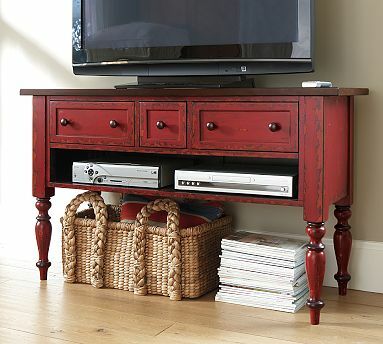 Declutter, clean and organize the living room or public space. 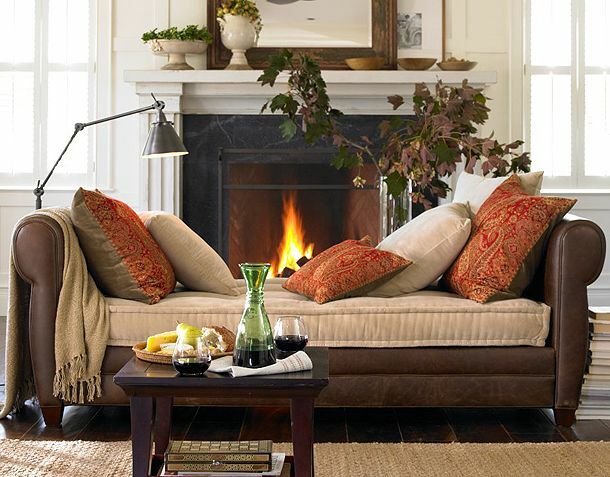 With the holidays hard upon us, your household’s living room or public space will be on display. 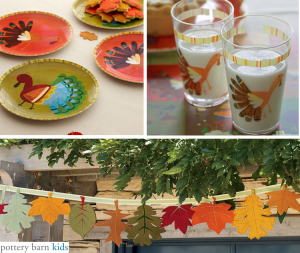 Prepare for family events and drop-in visitors! Remove all clutter from the living room using the STOP clutter method, then deep-clean the room. Move furniture pieces and vacuum beneath them, polish fine woods, and clean or vacuum draperies, window coverings or blinds. Once the living room is clean and free from clutter, take a minimalist’s eye to the room ‘s decorations. 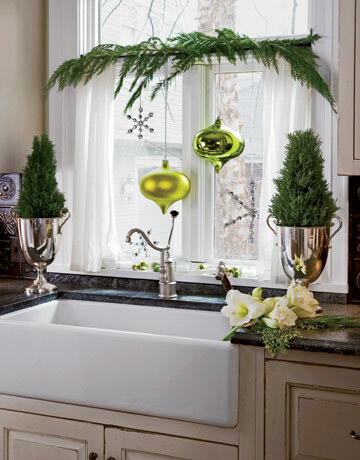 Will your holiday decor shine, or will it compete with current decor items? Clear tabletops, shelves and corners for the holiday decorations to come. Buy holiday stamps. Seasonal stamp designs are available now, buy holiday stamps early for best selection. Order online fromUSPS.Com to avoid standing in line. Begin saving packaging materials. Recycling makes sense … and cents. As catalog orders arrive, begin to stockpile mailing boxes and packaging material for re-use in December. 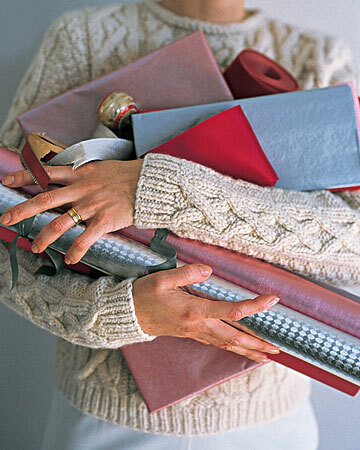 Store them close to your wrap and mail center to speed holiday mailing chores. Celebrate Halloween. Ready to join the neighborhood fun? 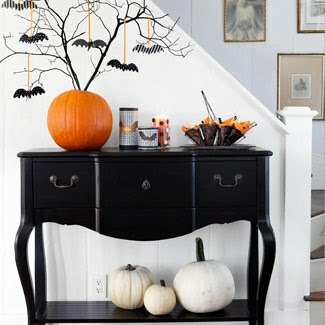 Use our free printables to start a Halloween BOO tradition in your neighborhood. Spread the BOO joy! Status Check! Review the progress of the Houseworks Holiday Plan on the first day of the month. If you’re falling behind, adjust goals to a more realistic level. 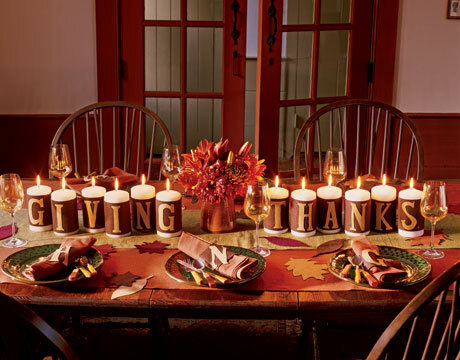 Decorate for Thanksgiving. Remove Halloween decorations and replace them with Thanksgiving-themed items. Complete Christmas cards or letters. Christmas cards should be finished and ready for mailing. ; Stamp envelopes and set them aside until it’s time to mail them next month. Tip: leaving envelopes unsealed makes it easy to add a newsy post-script if the spirit moves. Seasonal safety check. Observe Time Change Sunday with a seasonal safety checklist: change batteries in smoke and carbon monoxide detectors and flashlights. Don’t forget the first aid kit; will you need to replenish any supplies? 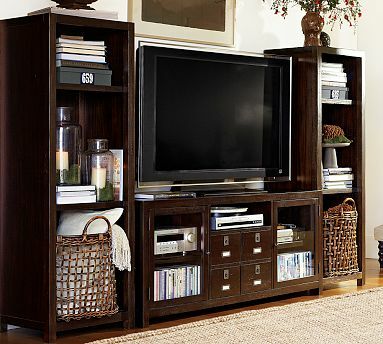 Then, I’ll straighten up my media cabinet and entertainment areas. I’ll reunite video games and DVDs with their missing cases, and return all entertainment items to their “homes”! While I’m organizing my movies & music, I’ll do a quick inventory of our holiday favorites and make sure they’re easily accessible for the upcoming holidays. 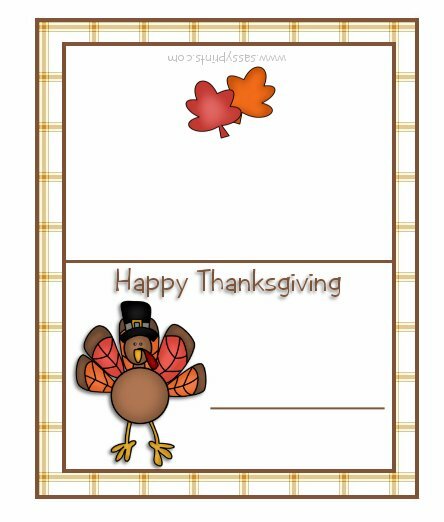 Here’s a free printable to notate all of your holiday favorites on – this, along with many more free printables can be found at christmas.organizedhome.com. Next, I will create a Holiday Housework Plan so that I can hopefully save myself from frantic cleaning sessions during the holidays!